Years ago, I made a special Mother’s Day card for my mom. We usually have a great dinner to celebrate Mother’s Day with my parents. But that year, I decided to make a special card too. 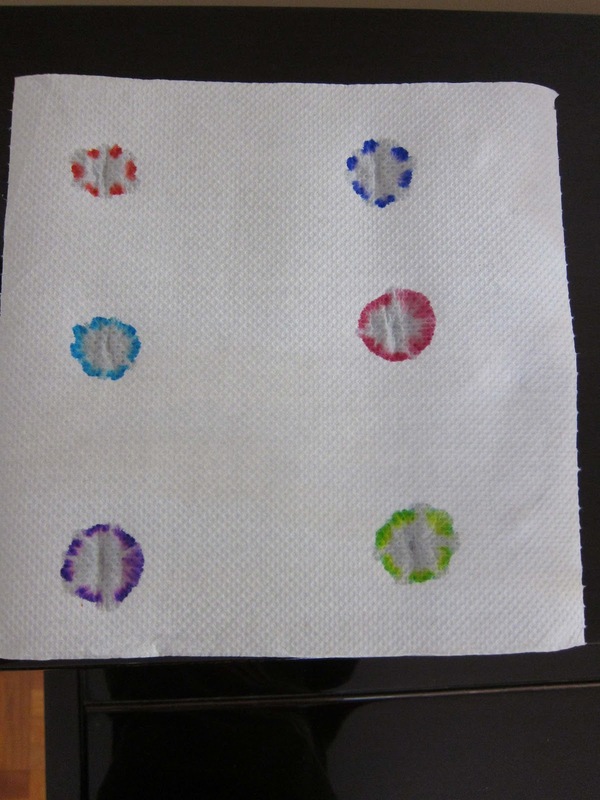 Because my son had done some experiments about ink colors. I found that his works were quite beautiful. Throwing them away were just wasteful. Thus, I turned them into a special card. I like it so much! How do you think? 1. 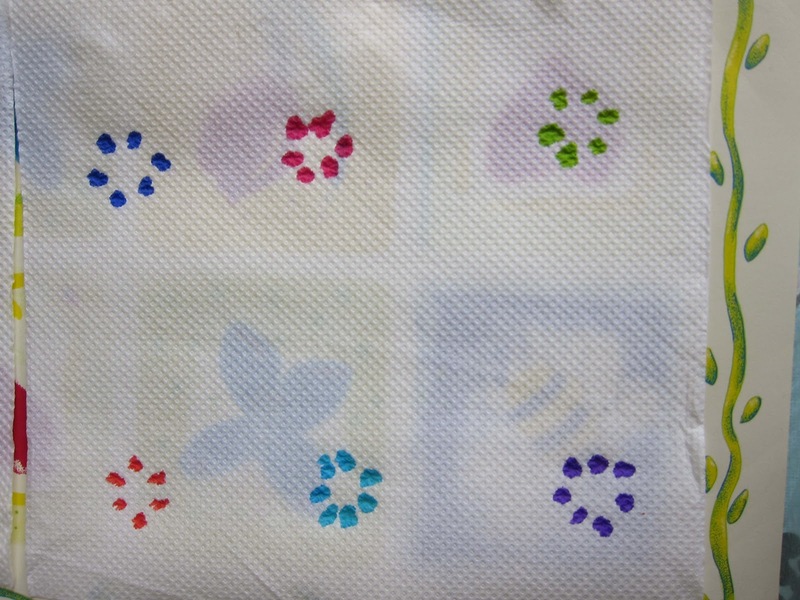 Draw some dots with color pens or ink on the kitchen tissue as shown in the image. 2. Drip some water in the middle, the color will spread out. 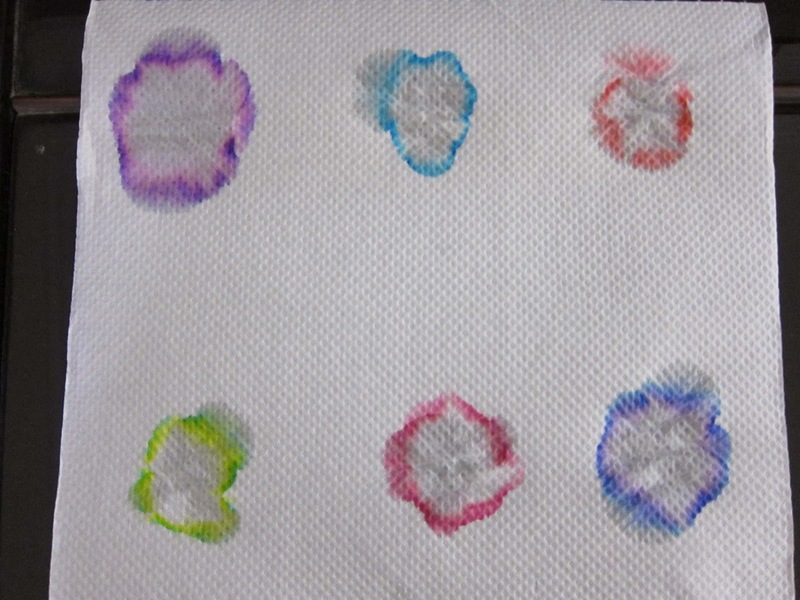 As one color is mixed by different colors and different colors spread in different speed, the spreadings are colorful instead of in one single color. 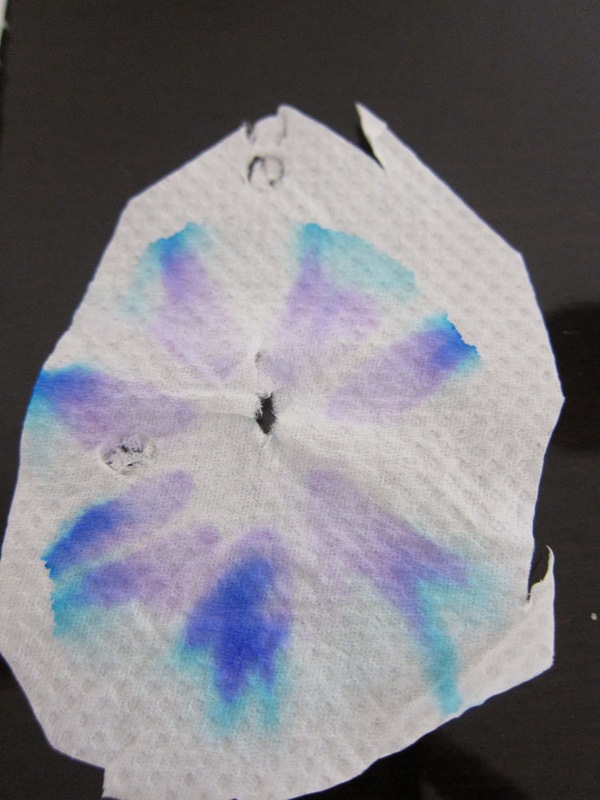 After the kitchen tissue had been dried, I cut them out and folded them to make a bunch of flowers. Draw the background with black pen and punch some circles to make the centre of the flowers.